Discussion in 'General Construction Discussion' started by cjmlarson, Nov 4, 2007. 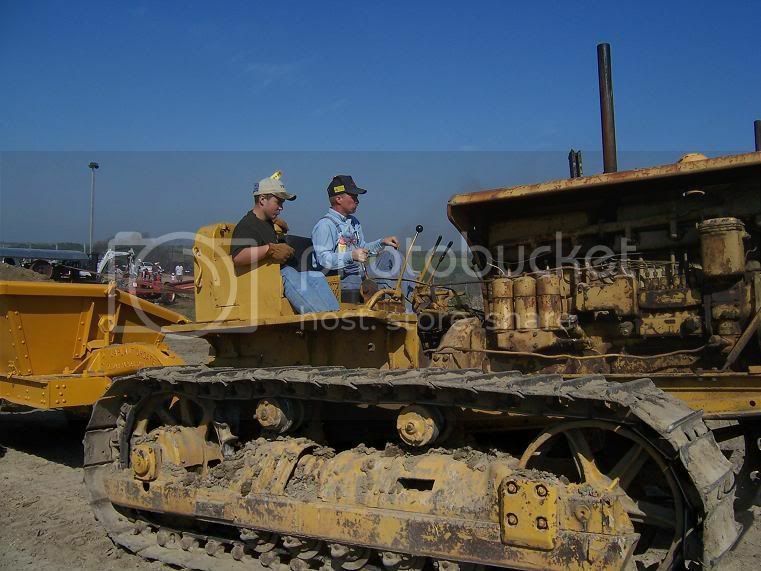 This picture shows Clayton and his nephew, Grant Johnson (13yrs old), operating the D8 and pulling the belly-dump wagons, after they were loaded by the steam shovels. Here is Grant pulling the rope that will open the belly doors to dump the load. 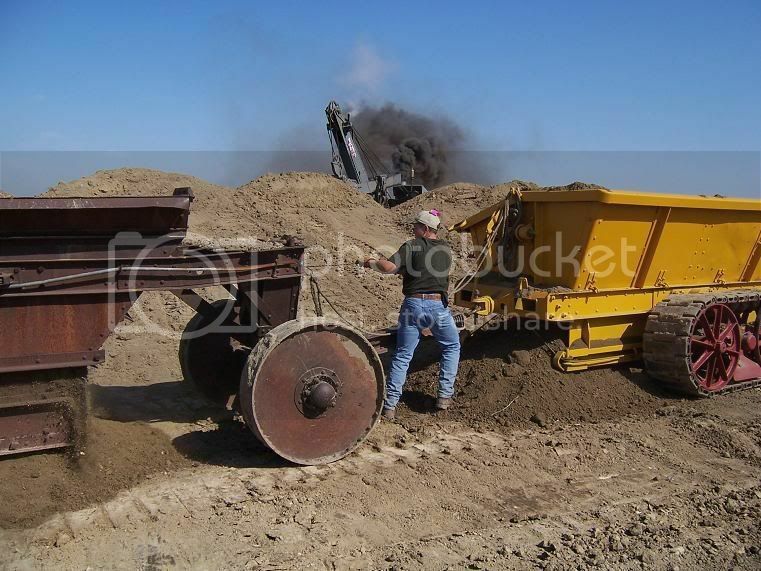 Great pictures of a solid old workhorse! I agree Clayton! Awesome pictures... and thanks for all the hard work on the "8" this past summer. Good to see it working so well!